For liquids, sufficient absorbent must be placed either in the intermediate packaging or in the outer packaging. Sufficient means there must be enough absorbent contained in the package to absorb the entire contents of the inner packagings. If the absorbent is placed inside the intermediate packaging, it may serve as the cushioning material, provided it will protect the inner packagings. Whether in the intermediate or outer packaging, the dangerous goods must not react dangerously with the absorbent, the packaging, and any cushioning material; and the dangerous goods must not reduce the integrity or function of these materials (i.e., they must not be capable of dissolving them). Environmental Resource Center has provided the highest quality environmental, safety, and transportation training for over 25 years. Our instructors bring a wide range of practical experience to the classroom, conducting seminars and live webcasts with expert knowledge, interactive exercises and a fun, relaxed atmosphere. Environmental Resource Center’s classes are available as public seminars, instructor-led webcasts, self-paced online courses, and as customized on-site sessions designed to meet your company’s individual needs. To view a complete list of Environmental Resource Center’s top-rated courses, go to www.ercweb.com/courses. Special offers for Reg of the Day™ readers: Register for any of the classes listed above and you can take advantage of offers 1 and 2 or 1 and 3. Register two attendees at full price and each additional person attends the same class for half price. Save $100 off your registration when you register for both Hazardous Waste and DOT training in the same city. 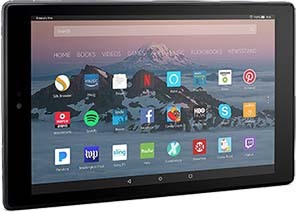 Register for both Hazardous Waste and DOT in the same city and instead of paper handbooks, get an Amazon Fire HD 10 tablet with electronic versions of both handbooks. One tablet per student per 12-month period. Payment must be made before the date of the seminar. You will receive your tablet at the class. This offer can be combined with offer #1 above, but not offer #2 above, other discounts, promotions, or refunds. The Amazon Fire offer is only available by phone. Call 800-537-2372 and mention the Amazon Fire offer. Eligible government agencies: Call Environmental Resource Center for GSA discounts. Environmental Resource Center’s live instructor-led webcast training is the best way to get the training you need—without leaving your office. Stay up-to-date with the latest regulations that can impact your facility and get your site-specific questions answered by our experienced, expert instructors. All of Environmental Resource Center’s top-rated training can be customized for your site. Site-specific training is an efficient and economical way to train your employees, reducing time away from the job and travel costs. Environmental Resource Center® will tailor the scope of the training to meet your site-specific requirements and deliver the training—at your site or as a live instructor-led or web-based session—whenever you need it. For details or to request a quote for site-specific training, call 800-537-2372, email service@ercweb.com, or complete a training request form online.